Please enable it to be able to proceed! Please enable them to be able to proceed! Do you have a sense that there's more to life than what you've been experiencing up until now? But you feel stuck in your present circumstances, and you're not sure how to make your dreams a reality? 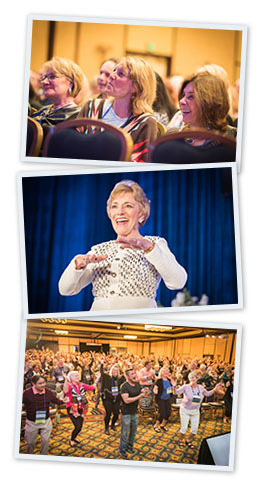 If your answer is "YES", you are invited to attend Mary Morrissey's DreamBuilder® LIVE in Dallas, Texas on October 25-27, 2019! She's the author of two best-selling books, No Less Than Greatness and Building Your Field of Dreams, which became a PBS special. She's also been featured in The Moses Code, Beyond The Secret and several other popular films. 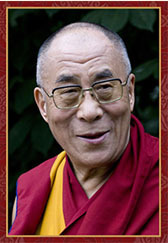 Together, with the Gandhi and King Foundations, Mary has addressed the United Nations three times on the topic of nonviolence, and she's been privileged to facilitate three different week-long meetings with His Holiness The Dalai Lama. Mary also met with Nelson Mandela in Cape Town, South Africa to address some of the most significant issues that our world is facing. 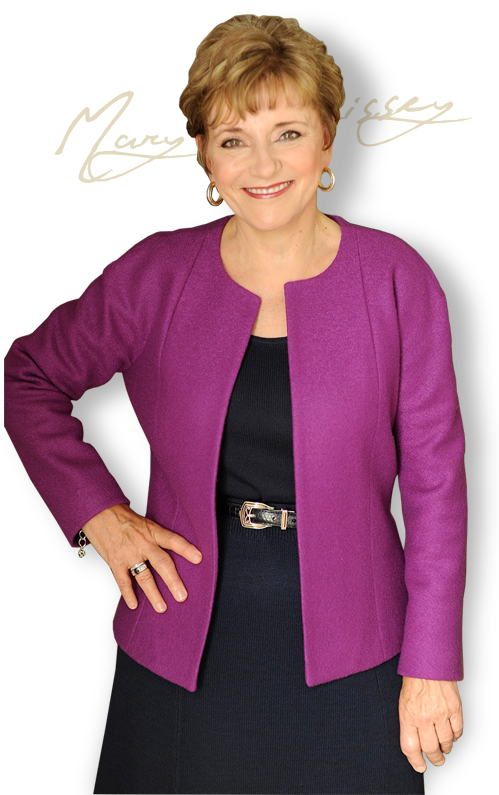 Mary Morrissey is widely considered the world's foremost expert on dream building. At DreamBuilder® LIVE, Mary Morrissey will guide you through the three stages of dream building — Blueprinting, Bridging and Building — the proven, reliable and repeatable formula to creating a life you love living, faster and more easily than you ever imagined possible. There, you'll be joined by hundreds of other dream builders from all walks of life and from around the world, all working together to create a vision-driven life... and all in a safe, supportive environment designed to support you and your dreams, free from the distractions of day-to-day life. We live life either by default or by design. On Day 1 of DreamBuilder® LIVE, it's time to design! Mary will guide you — and the hundreds of other dream builders from around the world that will be joining you in Dallas — through creating a crystal-clear vision of what you would love to be, do, have or create in your life. This is the foundation from which you will spring forth into your inspiring future. A simple but powerful "5-Point Test" you can take that will give you clarity on whether a dream you are considering for your future is truly worthy of you... BEFORE you invest your time, energy and focus on it. How to ask "high-quality questions" that will summon the Universe to provide you with the answers and assistance you seek — so that you can move through any challenges that may arise on the path toward your dreams with speed, ease and grace. "If I had one hour to solve a problem and my life depended on the solution, I would spend the first 55 minutes determining the proper question to ask. 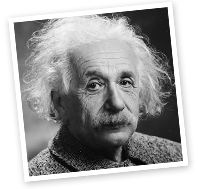 For once I know the proper question, I could solve the problem in less than five minutes." 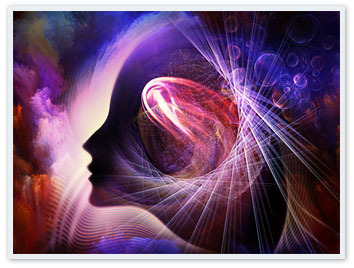 Once you have a crystal-clear blueprint for what you would love, your life immediately begins to transform. Instead of being a circumstance-driven person, you become a vision-driven person. Your thoughts and actions begin automatically aligning with what you want to create... and positively charged people and golden opportunities for advancement begin to "show up" in your life at just the right time. The second step in the dream-building process is to begin bridging the gap between where you are now and where you would like to be. It's incredibly important that you clean up your mental hygiene BEFORE you begin taking action on your dreams. Many people skip over this step, and because of this, they either aren't able to produce results... or they may experience some success, only to feel frustrated or disappointed when they "slide back" again. On Day 2 of DreamBuilder® LIVE, Mary will guide you through identifying and releasing old, limiting thought patterns that may have been holding you back for years without you even consciously realizing it. Then, Mary will guide you through how to install new, more empowering beliefs that will support whatever it is that you would like to achieve. How to release feelings of fear, doubt, worry, insecurity and unworthiness — and replace them with the clarity, confidence and prosperity-focused mindset that will propel you toward your goals and dreams. A simple exercise that will help you see the GOLD hidden in any difficult circumstance or personal tragedy... so that you can move through these situations with gratitude and compassion, free from the burden of blame and shame. How to raise your level of "deservedness" — the financial abundance and other results you have (or don't have) in your life will always be in alignment with your self-image, and Mary will show you how to raise this quickly and easily. With the blueprint of what you would love complete (Day 1) and your thought paradigm in the ideal place (Day 2), on the final day of DreamBuilder® LIVE, Mary will take you by the hand and teach you how to take the "right" kinds of action toward making your dreams your reality. Many people have a disempowering relationship to taking action — experience has taught them that creating change in their lives is difficult, unpleasant and usually unsuccessful. This makes sense, because most people have been taught to take action from a place of force... and as you may already know, one of the Laws of the Universe is, Whatever you resist, persists. Rather than coming from a place of FORCE, Mary will teach you how to align with the invisible Universal Laws of Success, which will put you in a state of FLOW. Taking the right kind of action toward your dreams will feel easy, and - will give you energy, rather than sapping it from you. How to create a plan of "inspired actions" that you can take to make fast, consistent progress toward your dreams, free from procrastination and without hard work, stress or worry... so that you'll never end up at a standstill wondering, "What do I do next?" The power of "masterminding" — will experience first hand how collaborating with other heart-centered, like-minded dream builders can help reveal new, exciting ways to achieve your dreams that you had no idea even existed. How to share your vision of what you would love with others in a way that inspires them to mobilize their energy, connections and resources on your behalf. The step-by-step transformational principles and spiritual success secrets that you'll gain access to at DreamBuilder® LIVE are easily worth ten thousand dollars or more. But your investment will be just a small fraction of that. Tickets to DreamBuilder® LIVE are normally $1,197. Tickets to DreamBuilder® LIVE are normally for $1,197. But for a limited time, you can register for the low one-time investment of just $1,197 $797... a 33% saving off of the regular price! PLEASE NOTE: This special early bird pricing expires on May 1st, 2019 at MIDNIGHT, so we encourage you to register now while there's still time to claim this significant savings. Before this event sells out... SECURE YOUR SEAT TODAY! 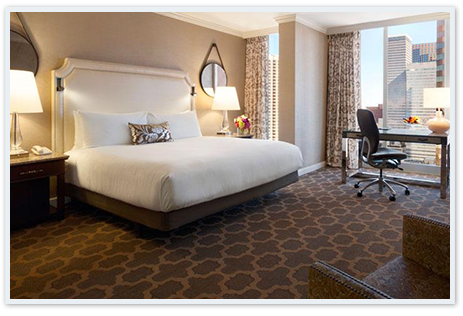 Fairmont Dallas is ideally located in the heart of the downtown Dallas Arts District, surrounded by a wide array of fine dining restaurants, shopping, arts and entertainment. Combining hospitality and elegance with that special Texas flair, the newly-renovated luxury hotel is located a few blocks from the Central Business District and the Financial District, less than one mile from Victory Park (home of the American Airlines Center) and the West End Historic District, known for its shopping and lively restaurants, including Dallas steakhouses. Treat yourself to four-star fresh market fine dining at the sleek, contemporary Pyramid Restaurant & Bar or enjoy a delicious beverage and pastry at our conveniently located lobby-level Starbucks. PLEASE NOTE: There is a limited number of discounted rooms available for DreamBuilder® LIVE attendees. Please contact the hotel and book your accommodations as soon as possible. The proven, reliable, repeatable dream-building system that Mary will guide you through at DreamBuilder® LIVE is based on Mary's 40 years of dedicated study and 30 years of application across tens of thousands of people's lives. Q. What if I can't find the time to attend DreamBuilder® LIVE? We understand that everyone has important responsibilities, such as work and family, that deserve their time and attention. But don't your dreams deserve your time and attention also? Aren't your dreams worth three days of your life? We invite you to consider this: highly successful people do not ask their calendar for permission to do what it is that they desire. They tell their calendar what they're going to do, and then they go and do it. So if you're ready to create a life you love living, then simply tell your calendar what you're going to do. Schedule DreamBuilder® LIVE, in Texas from October 25-27, 2019 into your calendar now. Reschedule anything that needs rescheduling. Make your life and your dreams a priority, because you are the only one who can decide that YOUR time is now. Q. 9am to 9pm sound like long days. Are there any breaks? Absolutely! You will receive an hour-and-a-half long lunch break, plus several other breaks throughout each day... plus you can leave the event room at any time to visit the restroom, get a tea or coffee, make a phone call, or do anything else. But once you see what we have in store for you, you will probably do everything you can to stay in the room with us as much as possible! This is because this isn't some boring, lecture-style event where you sit and passively listen for hours on end... at DreamBuilder® LIVE, we have a lot of FUN! 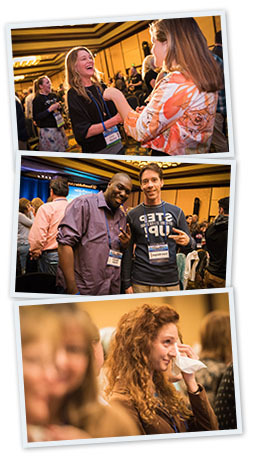 This is a high-energy event that will leave you feeling inspired and energized in each and every moment. Great, we love questions! Please call us toll-free at 1-800-914-6958 or email us at clientcare@marymorrissey.com and we'd be happy to help. Ready to Create a Life You Love Living? Your life is precious — and the power that breathes you and causes your heart to beat each and every day is always seeking to bring you closer to a life of greater happiness, good health, prosperity and fulfillment. If you have a sense that there's more to life than what you've been experiencing, if you know that you'd like to be more, do more and give more, and you know that your time is NOW... DreamBuilder® LIVE is the place for you to be. Simply click on the button below now to register your seat, and if you have any questions, please feel free to call us, toll-free, at 1-800-914-6958. We are always happy to help. Thank you for taking the time to explore stepping into your greatness, and for your interest in Mary Morrissey's DreamBuilder® LIVE. We look forward to seeing you in Dallas from October 25th - 27th, 2019!